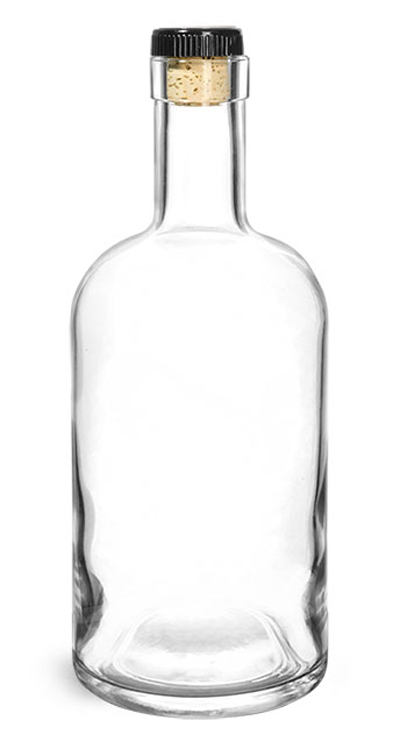 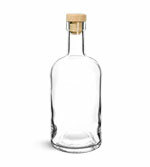 These clear glass whiskey bottles include bar top corks for a secure closure as well as an added layer of style. 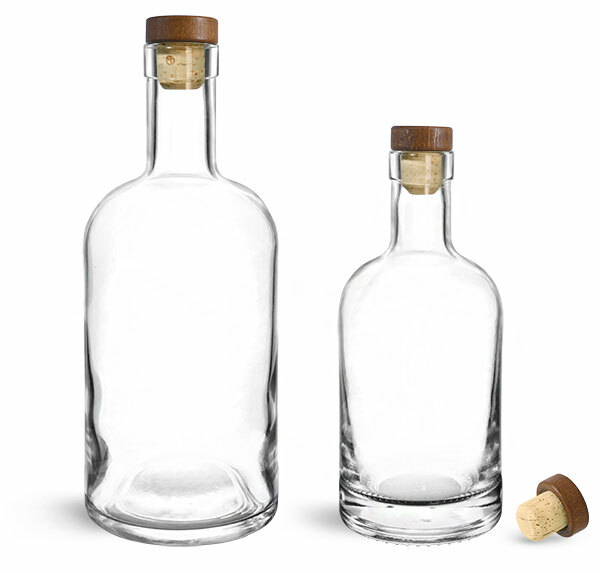 The wooden colmated corks fit snugly into the necks of the bar top bottles, creating a reliable and safe seal for your product. 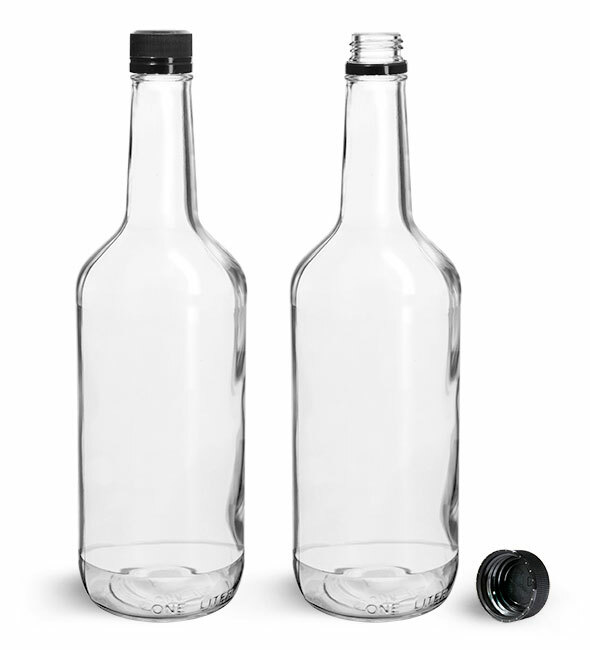 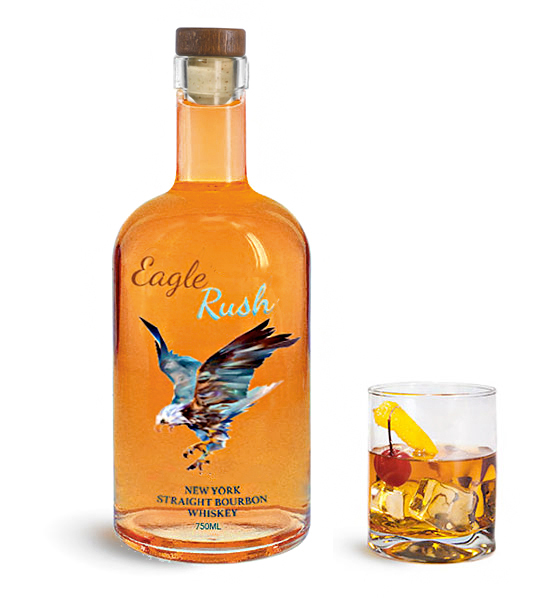 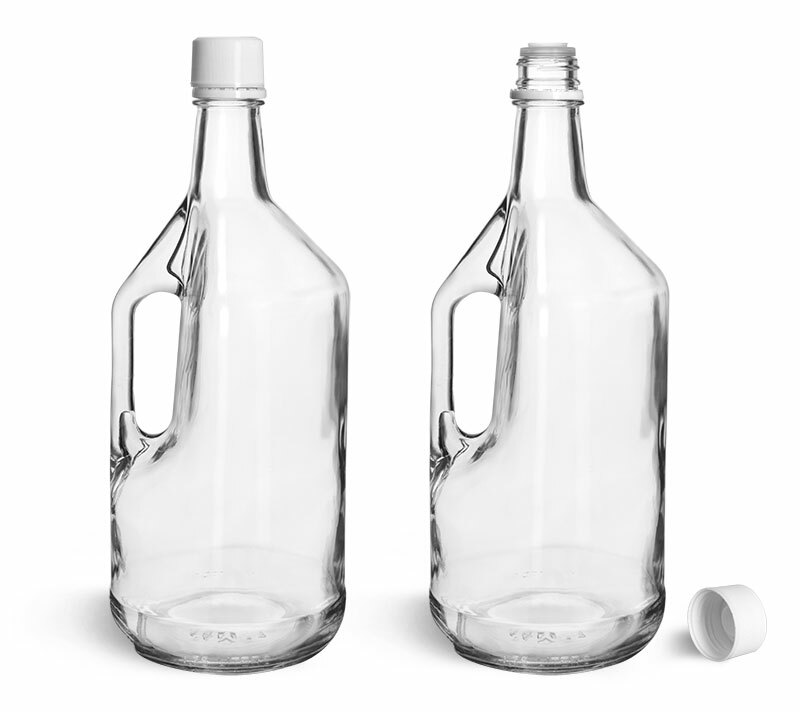 The glass whiskey bottles feature long, slender necks and rounded shoulders for smooth pouring, making them an effective, high end option for packaging barrel aged rye or bourbon whiskey.